Places to see in Pastanga: Pastanga is dotted with a number of sightseeing places, which enhances the appeal of the place to the tourists. One of the prime attractions of the region is the Heritage Homes of the Rais and Bhutias. Built with bamboos and mud, this rare architecture has been treasured for more than 150 years by the people of Pastanga. The walls of this age-old architecture are built in three layered structure, where the inner layer is made of bamboo and the outer layer is plastered with mud on the bamboo framework. The whole structure of the house is elevated around 5 feet above the ground and supported by wooden pillars. A visit to the nearby “Sumni-hwari” waterfall is truly noteworthy. A number of natural springs constitute the major source of the waterfall, cascading from a height of about 150 meters. The waterfall is considered as a sacred site, and the worship of Goddess Durga takes place nearby the site on Chandi Poornima. The village of Pastanga is also known for its herbal garden that nurtures a number of medicinal plants. The medicinal plants are identified scientifically and are utilized for educating people. Orchid Poly-house is home to an exotic variety of rhododendrons, wild orchids and mosses. You can savor the sight of blooming orchids, while visiting in the month of April and May. 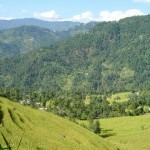 Nearby attractions around Pastanga: Nopkom, an exotic hilltop, is a major nearby spot of tourist interest, located at the meeting point of the Gaucharan village and emerald green forest. From this point, you can savor the spectacular view of Mt. 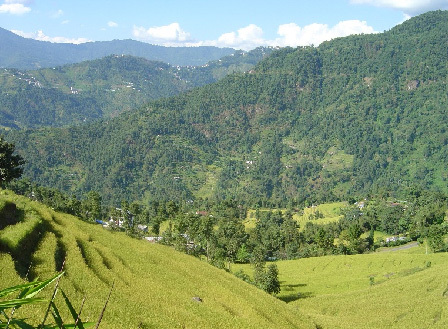 Kanchanjungha, the renowned Rumtek monastery and the outstanding view of the village. In addition to this, you will be enthralled with the twittering sound of the birds. You can also visit the site of Takcham River, which is renowned for its hot water. The golden yellow water of the river is famous for its healing properties. You will also find a picnic spot nearby the site. The place also houses a site for traditional angling. Things to do in Pastanga: Pastanga nurtured amidst the scenic landscape is a great place for enjoying a nature walk. You can walk gently around the winding village path, passing through the middle of the cardamom field. You can also enjoy the cultural show of the region, featuring Rai Dance and songs. The most noteworthy feature of the cultural show is the playing of traditional handmade instruments like Binayoo and Machunga. If you have an adventurous bent of mind, take part in trekking to Khedi – Malinggo Trail, located at a height of 2803 meters. Relish the local cuisine and the local beverage called thikla, which will be really an enduring experience. 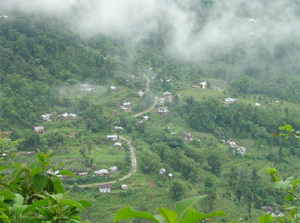 How to reach Pastanga: The quaint village of Pastanga is well connected by roadway via Ranipool and Bhusuk. 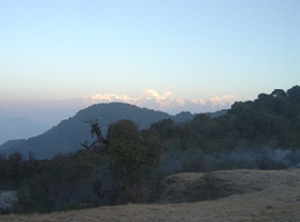 It is also just an hour drive from the capital city of Gangtok. You can also hire a taxi from Gangtok to reach Pastanga. Best time to visit Pastanga: Pastanga beckons tourists throughout the year. However, it is better to avoid the rainy season, as the hilly roads of the area remain block due to land slides for most of the time. Lodging and dining facilities in Pastanga: There is no hotel or resort at Pastanga. Accommodation facilities are offered by the local people in their homes, which is truly a unique experience of the tourists. The local people of Pastanga are very helpful and their home stays are excellent accommodation options for the guests. You can interact with them to get acquainted with their tradition and culture. They are quite hospitable and will also offer you with tasty local cuisines.